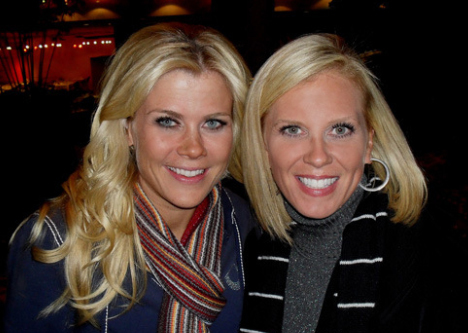 Hearing the news about Alison Sweeney’s departure from The Biggest Loser has caused me to recall the first time I met her and how I felt about her as I got to know her. When I auditioned to be on TBL I had no idea that she would be the host of the show. She wasn’t the host of the previous seasons. And let’s just be honest, she was a major soap star. So to say I was star-struck was putting it mildly. And she did not disappoint. She looked the part of a star and was as beautiful in person as she was on TV. But what I think we all thought was even more impressive is that she is just as nice a person as you would hope she would be. She was warm, genuine and truly cared about the contestants. What you saw on TV was exactly the person she was when the cameras stopped rolling. I will admit I’m a little sad that she’s leaving Loser, but she has so many projects in the works. I enjoy watching everything she does because as a woman and a wife and mother – she seems to be living proof that you really can “have it all.” A few years ago I wrote a bl og about her. I thought in light of this recent news, I would repost it. 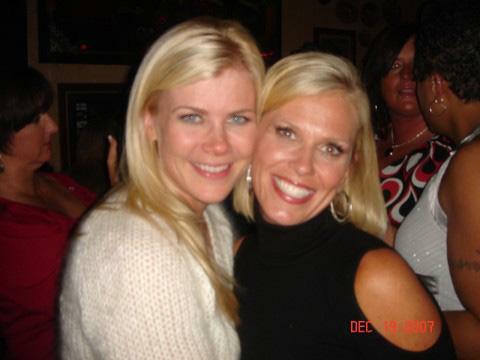 I called it “My Favorite Lessons from Alison Sweeney.” They all still apply. So here it is again. There’s no such thing as luck. Some people may think that Ali has experienced a lot of luck in her career. But I have learned from her that there’s really no such thing as “luck”—it’s really about when opportunity and preparation meet. She focused early on what she wanted out of life and began preparing for it. Then when the door of opportunity opened, she was ready! I love that about her. And it’s a valuable lesson for all of us. You have to be prepared to receive all the things you dream of for yourself. You have got to love what you do! If you do you will excel! She says she was born with the acting bug and it shows. The reason she has been a successful actress and host for so long is because she’s excellent at it! Find what you love to do and do it! There’s no substitute for sincerity. When my husband Mike showed up on the set of The Biggest Loser a few years back he was a little star-struck to be meeting this Hollywood personality he’d seen on TV for years. We (the contestants) were in the middle of a photo shoot for Prevention magazine and I saw Ali walk up to Mike, wrap her arm around his, call him by name and ask about our son Noah by name. Wow! Talk about first impressions. It’s not always as easy as it looks. In other words don’t assume because someone looks like being in shape is effortless that it is. Ali is a gorgeous soap star. But she’ll be the first to tell you that her weight is always something that she’s worked on. I remember when the cast of The Biggest Loser went to Jamaica together. My team woke up extra early to sneak into the gym and get a jumpstart on working out to beat out the competition. When we walked in—Alison Sweeney was already in there working out. She always looks healthy and fabulous but it doesn’t come without hard work. Balance is possible without sacrificing excellence. I don’t know many (if any) other moms that work two jobs like she does. And I went to both of her jobs in one day once. She work(ed) on the set of Days of Our Lives for hours and then sometimes in the same day had to be out until 4:00 in the morning monitoring a Biggest Loser challenge. And yet because of her strong work ethic and integrity she maintains excellence in all she does. “To whom much is given, much is required.” That scripture comes from Luke 12:48 but I think it really applies to Ali. She’s been given so many incredible opportunities but she makes a conscientious choice to make the most of each of them. I want to live life in the same way! So although the Biggest Loser won’t be the same without Alison Sweeney, I do love her and can wait to see the exciting things that are coming up for her next!